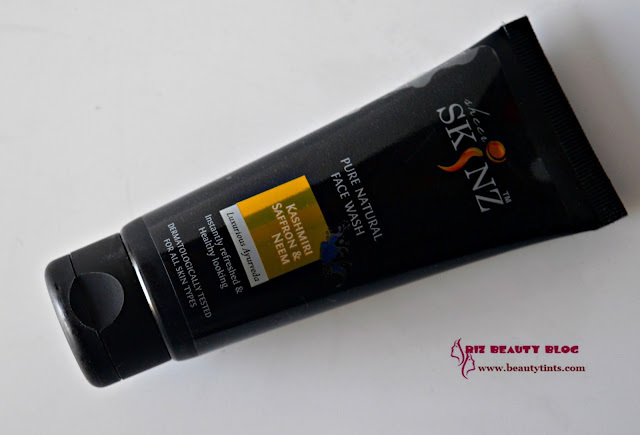 Sriz Beauty Blog: Sheer Skinz Kashmiri Saffron & Neem Face Wash Review!!! 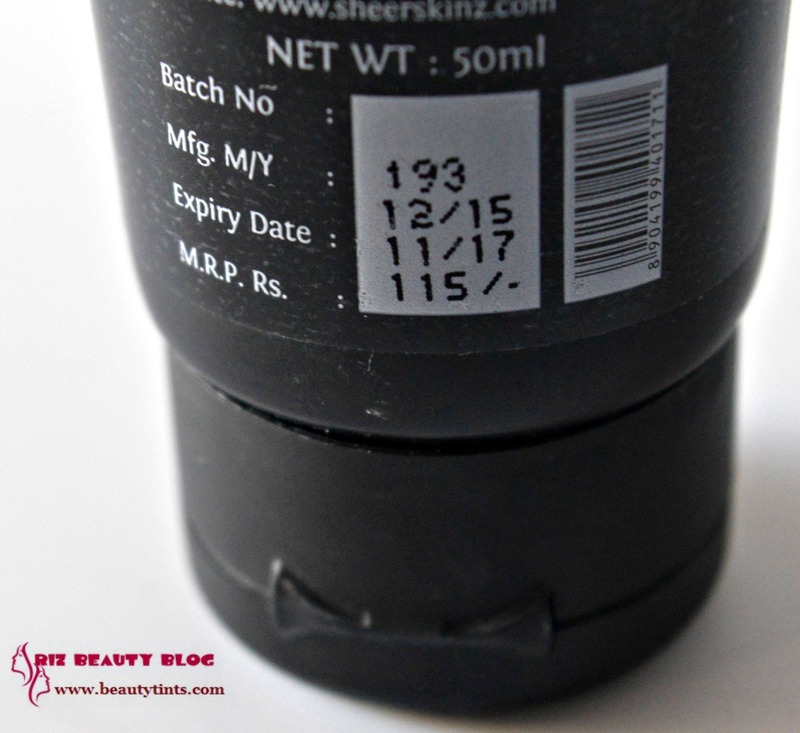 Sheer Skinz Kashmiri Saffron & Neem Face Wash Review!!! 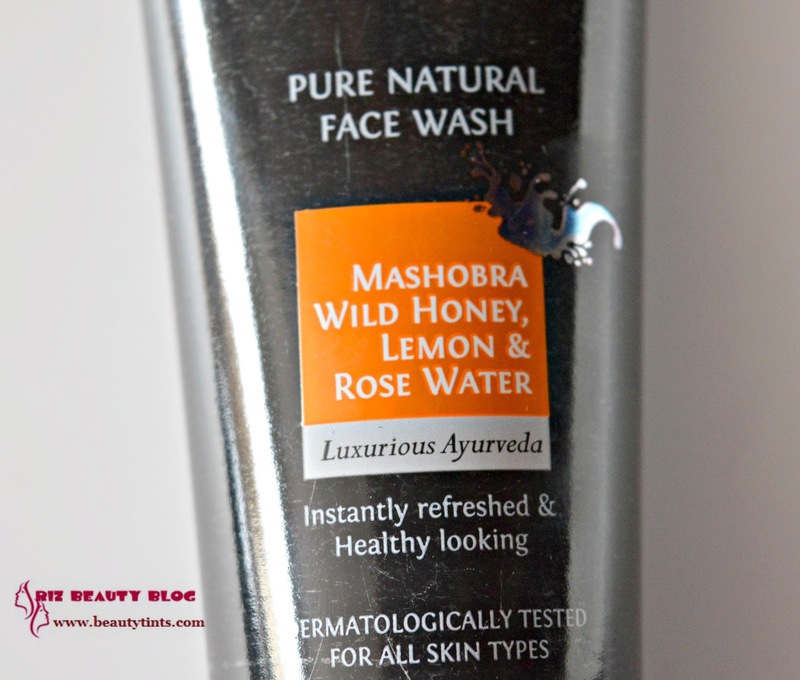 Recently I have reviewed Bengal Tuberose & Jasmine Patchouli Soaps,Mashobra Wild Honey,Lemon & Rose Water Facewash from Sheer Skinz and today I am reviewing one more face wash from the brand which is their Kashmiri Saffron & Neem Face Wash.
What the Product Claims : Sheer Skinz introduces revolutionary, natural delicate facial cleanser is formulated with Kashmiri Saffron & Neem creates a Delicate Natural Cleanser which effectively lifts dirt,oil and impurities leaving skin clean, refreshed and velvetysoft. 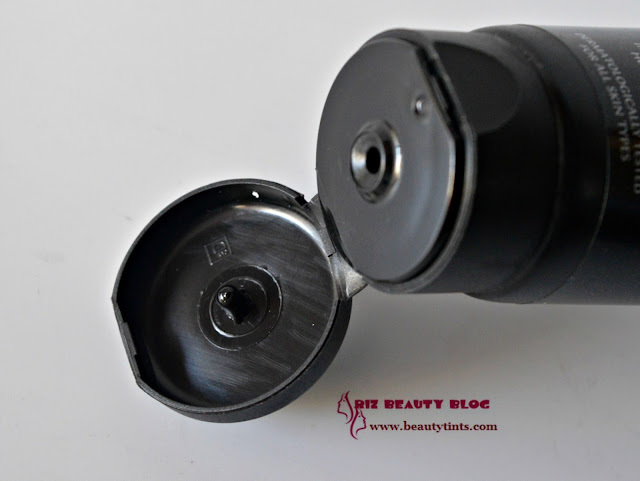 Anantmool is very effective for acne and pigmentation. Kumud is firming and toning. 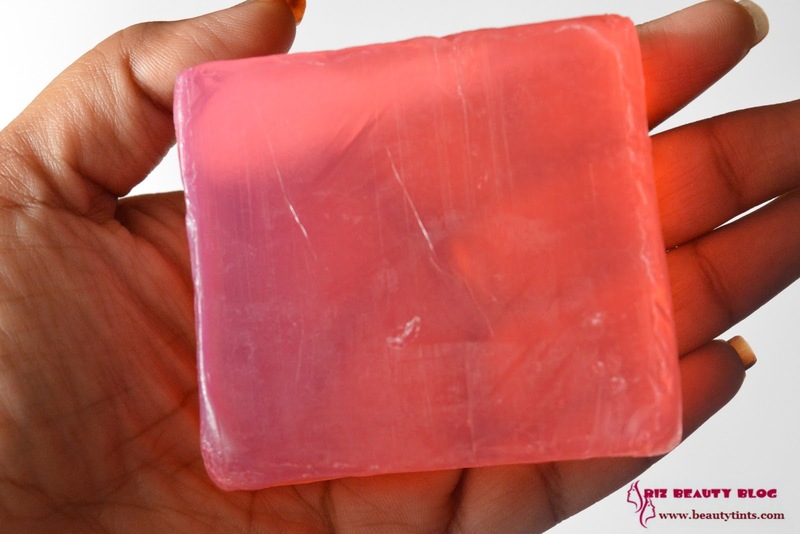 Nagkesar has skin re-texturising, toning and firming properties. Saffron gives the skin a warm glow. 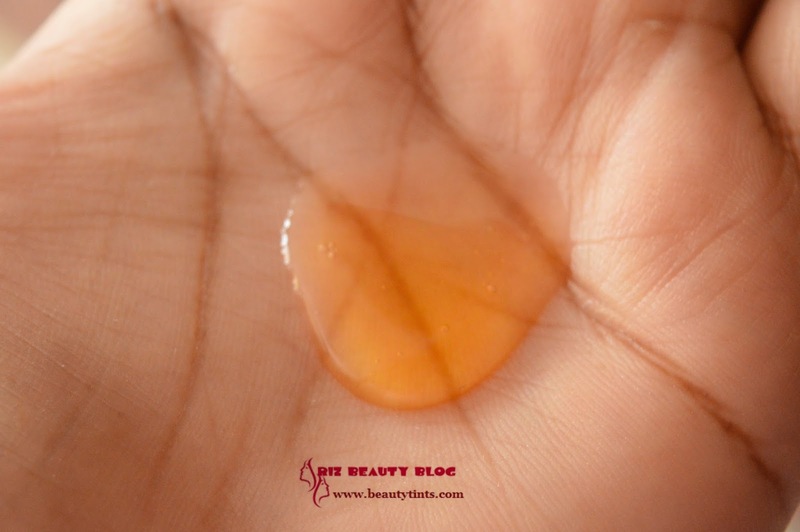 Neem is healing, cooling, and purifies. 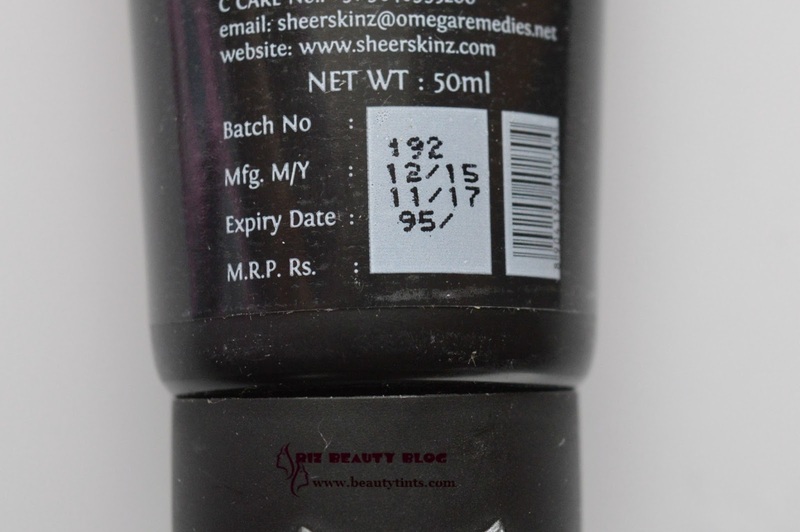 Sheer Skinz Facial Cleanser gently cleanses your face to remove dirt and exfoliates dead skincells making it clean and fresh. 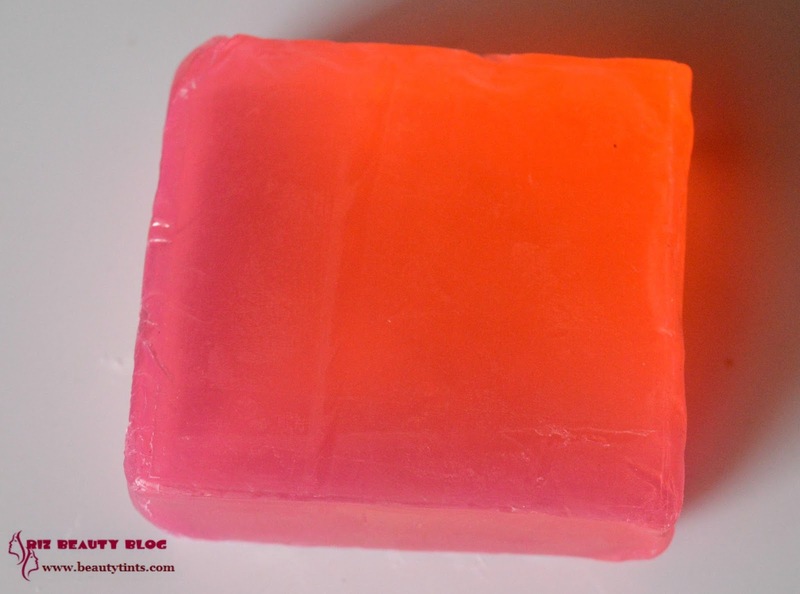 My View On the Product : This comes in a classy black colored tube and the cap fits well,which makes it convenient for travelling purpose.It is a pale yellow colored gel kind of face wash and it has a mild neem fragrance .It lathers well and gets rinsed off easily with out leaving any residues behind.It cleanses the skin well and removes all the dirt and grime from the pores effectively.It makes skin clean and refreshed.It is very gentle on the skin.It is enriched with the goodness of Neem Oil,Saffron Oil,Panchpushp extract,Nagkesar Extract,Glycerin etc.,The face wash is a bit runny and so we need to be careful while pouring onto palms.It is a bit drying especially around the nose for me.It suits oily skin and pimple prone skin well and it may not suit for extreme dry skin people.It is dermatologically tested. As it contains neem in it it helps in preventing rashes,acne and pimples.It also contains kashmiri saffron in it, which helps in brightening the skin by evening out the complexion.It makes skin soft and supple.I wish it had a complete ingredient list.It is a bit pricey than the other variant. 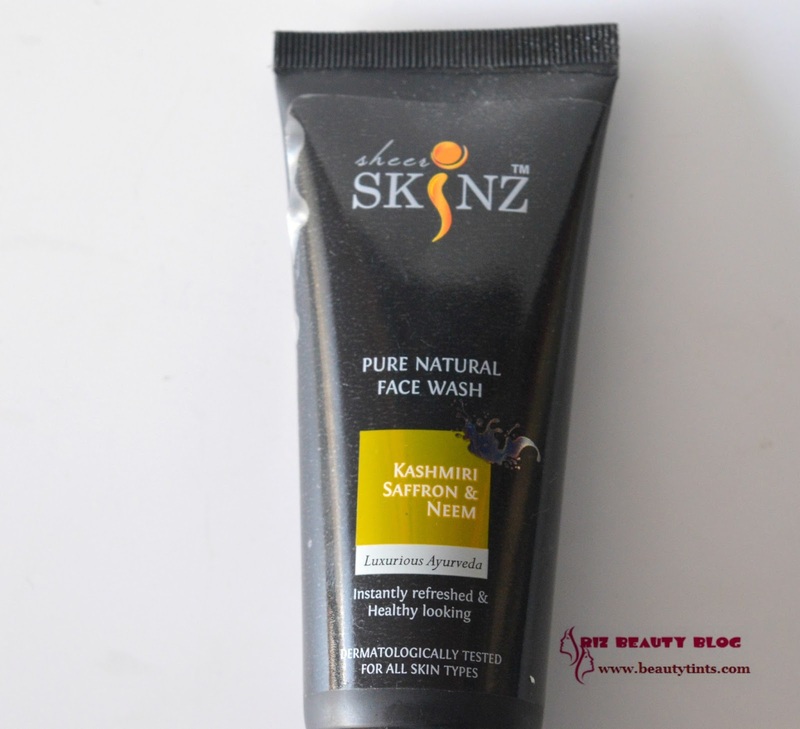 Final Conclusion about Sheer Skinz Kashmiri Saffron & Neem Face Wash : Those who are in search of an effective face wash that helps in reducing pimples and acne at an affordable price which is gentle on the skin yet effective in cleansing should give this a try!! !